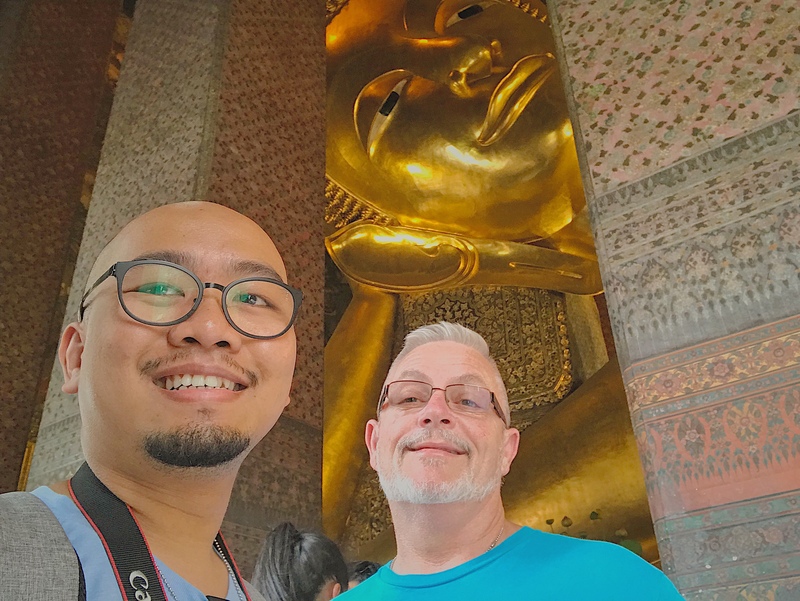 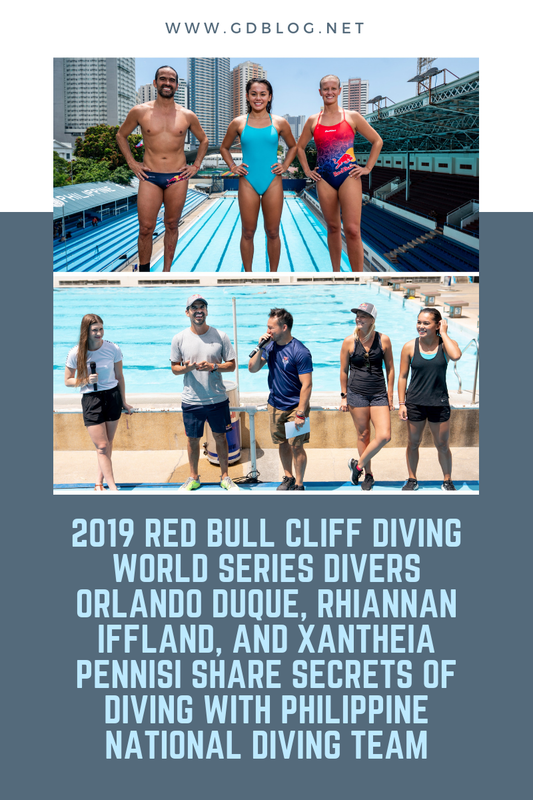 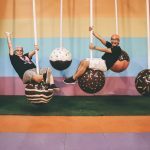 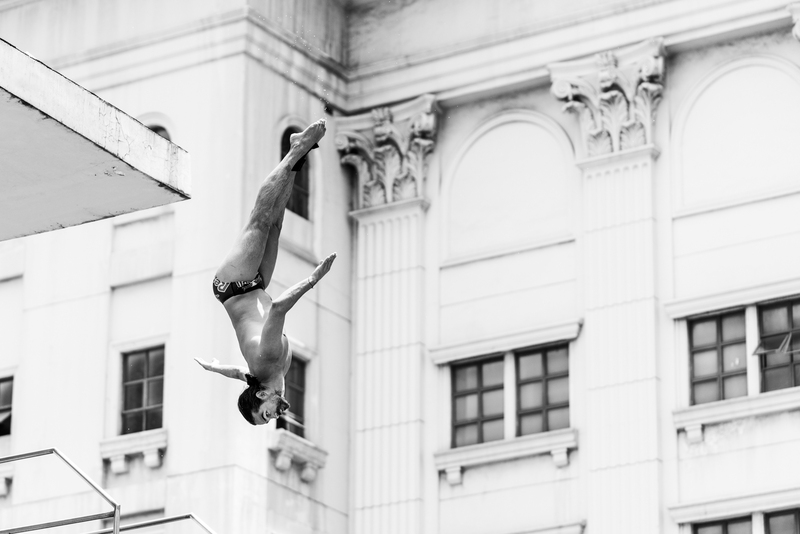 G&D Blog was invited to meet the Red Bull Cliff Diving World Series divers, Orlando Duque from Colombia, the “Rainbow Dive” Queen Rhiannan Iffland from Australia, and the Filipino-Australian Xantheia Pennisi. 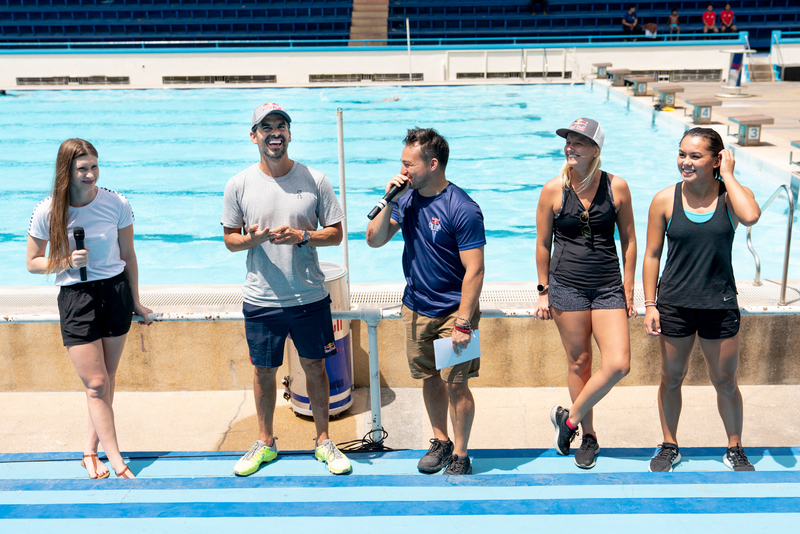 These world cliff divers held a special media gathering and workshop at the Rizal Memorial Complex, Pasay City last April 4th, 2019. 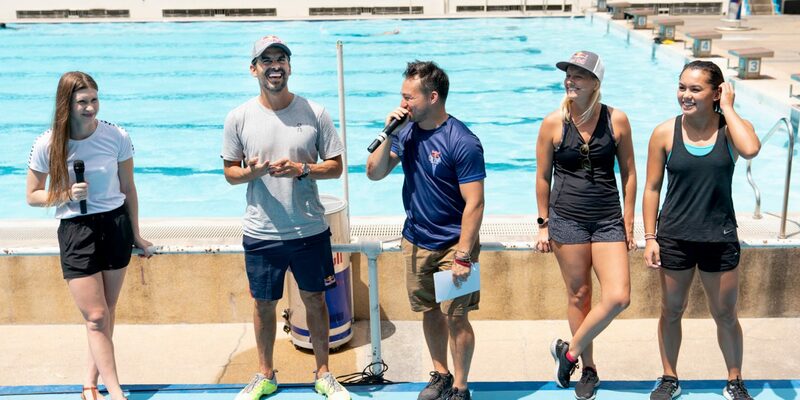 The event was hosted by Eleanor Townsend Smart (USA), Red Bull Cliff Diving Athlete and founder of the Clean Cliffs Project. 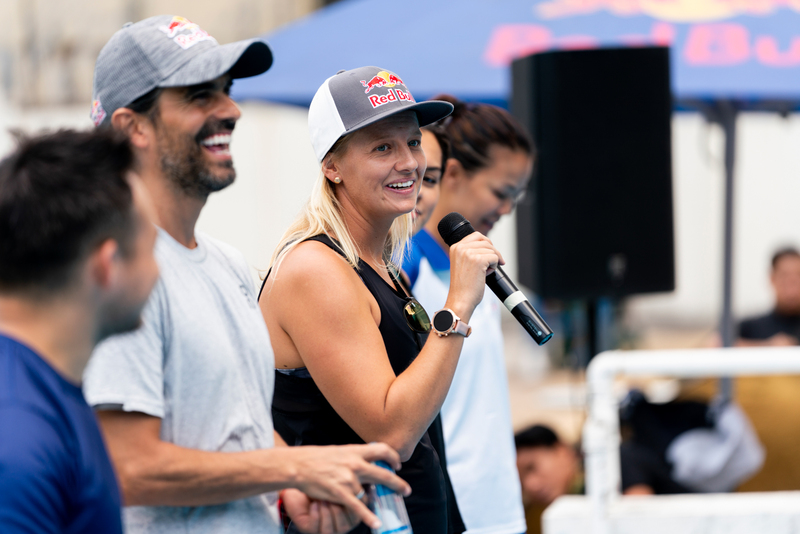 Together, the athletes introduced their sport to those in attendance and shared their experiences from previous competitions. 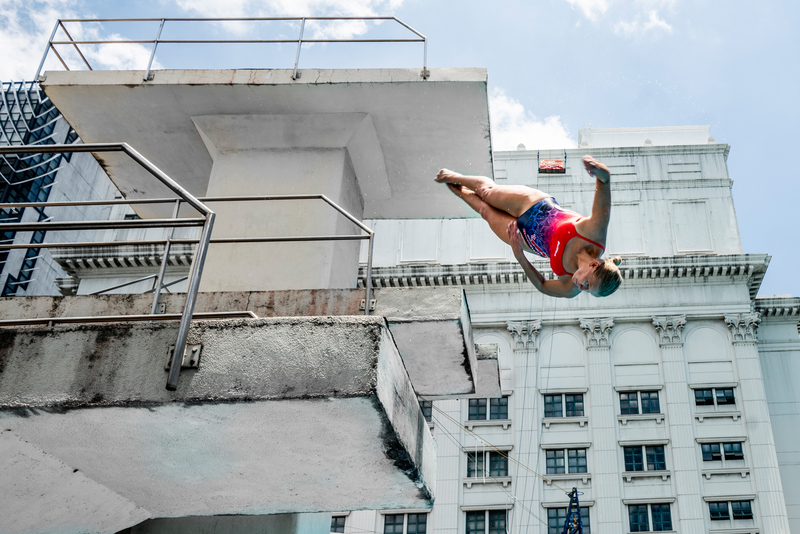 Xantheia Pennisi is the first competitor of Filipino descent to compete in the Red Bull Cliff Diving World Series who’s excited to be back in the Philippines after 7 years. 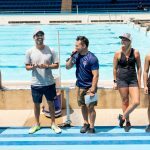 Smart, Duque, Iffland, and Pennisi then took the time to share their knowledge with members of the Philippine National Diving Team for an in-depth diving workshop. 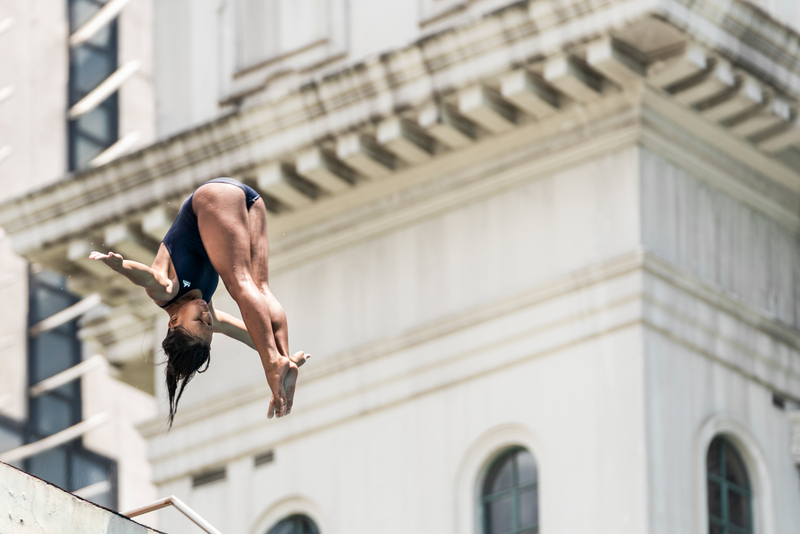 This allowed members of the National Team to improve their takeoffs and dive executions by learning from four of the world’s most decorated high divers. 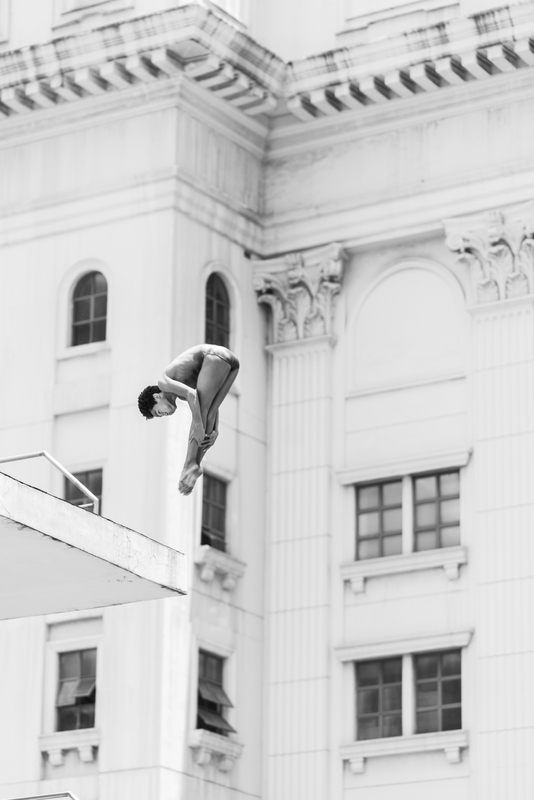 “We’re excited to share the morning with Orlando, Rhiannan, Xantheia, and Eleanor,” stated by Marie Dimanche- Chairman of the Philippine National Diving Team. 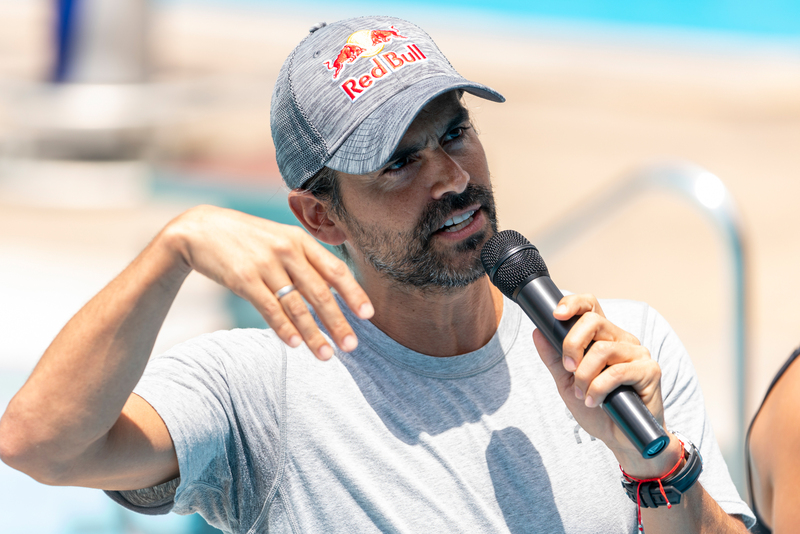 This upcoming world event opens in El Nido, Palawan on April 12th, 2019 in Miniloc Island’s Big and Small Lagoons, marking El Nido as the first and only stop in Asia on this year’s Red Bull Cliff Diving World Series. 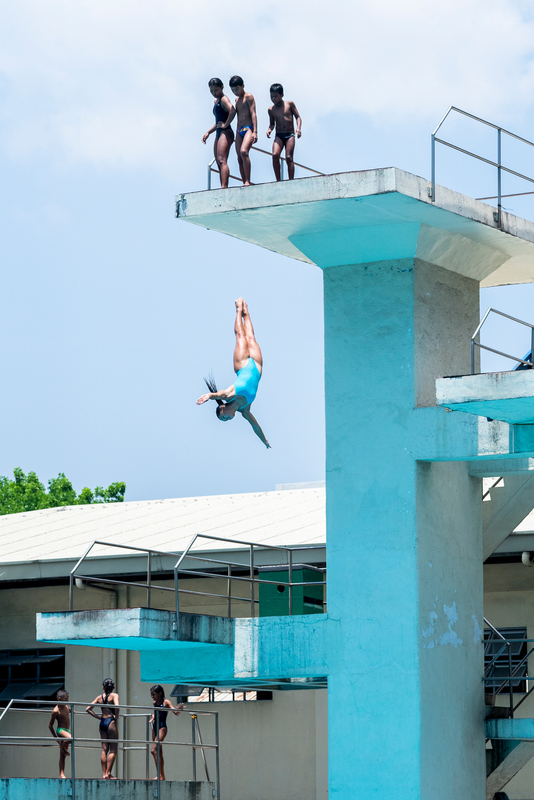 24 professional male and female divers from eighteen 18 countries will take off from breath-taking heights of up to 27 meters with only their concentration, skill, and physical control. 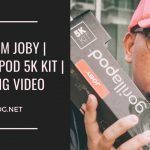 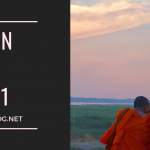 You can watch the live broadcast from El Nido on Red Bull TV, Facebook and YouTube on April 13th, 2019. 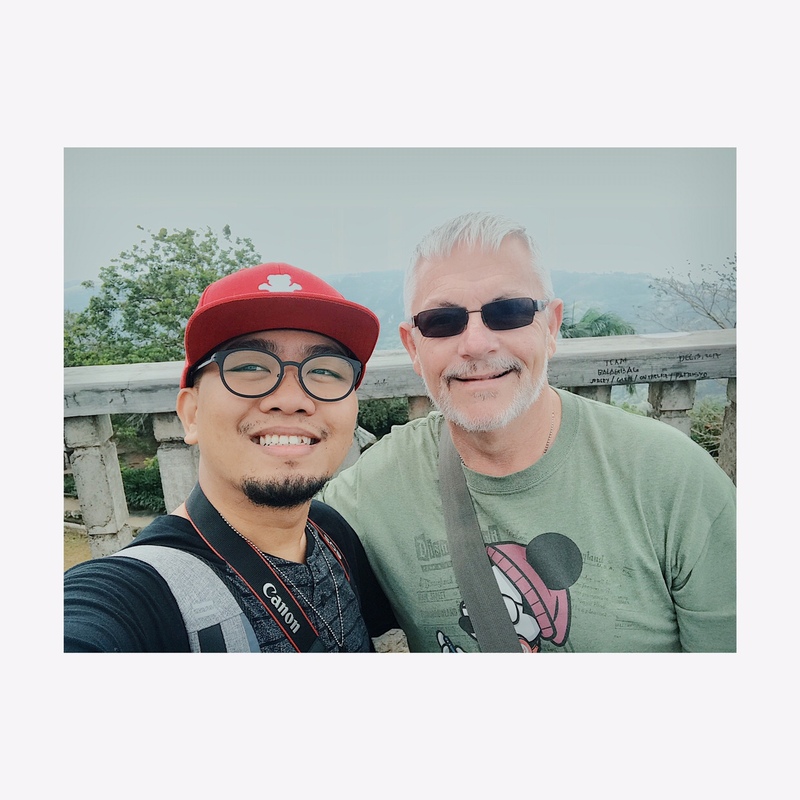 Philippine viewers may also watch the full event, along with the remaining six stops of the 2019 World Series, on S+A and iWant Sports (iwant.ph), 5PLUS and 5plus.com.ph, FOX Sports, FOX Sports GO, FOX+ app, online at http://www.foxsports.ph, and on iFlix VOD service. 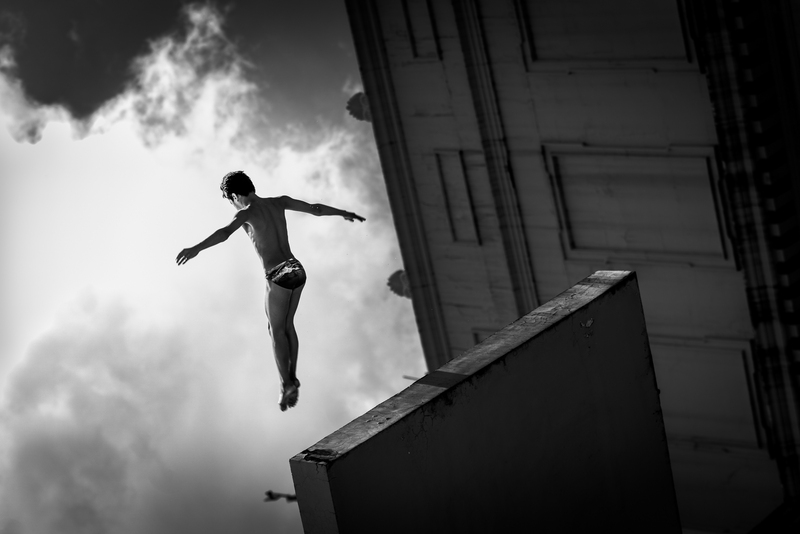 Follow along in this World Series on Facebook (http://win.gs/cliffdivingelnido), Instagram (@redbullcliffdiving) and Twitter (@cliffdiving).